DEPTH - 48CM. HEIGHT - 97CM. Opening hours. No 243 Estate Eggshell by Farrow & Ball. Farrow & Ball. All cleared waxed. Depth is 44 cm 33 cm for the fold out writing lid. The interior is painted in Slipper Satin, no 2004 Estate Eggshell also by. This is a beautiful mahogany wardrobe with two large doors, inside the right section there are various shelves, and the left section has a long hanging rail. The wardrobe is in good condition with minor marks consistent with age and use, the left handle has slightly broke (see pictures ) but still works. The only real issue is a small amount of veneer loss at the bottom of the right hand cupboard door and the door handles are a little worn. Still a lovely little piece of furniture and perfect for a smaller space. Storage fees apply after. 30 " wide x 17" deep, and 39.5" high. There are 4 internal divisions. We do not have the key for it but it is unlocked so can be still used. prices starting from £60.00. this is just an. the maximum pallet sizes are 1200mm x 1000mm with a max height of 2000mm. (1.2m x 1m x 2m high). 1950's Oak Bureau, Vintage Antique Writing Bureau, Solid Oak Furniture. Collection in person only. It appears to be made from oak but i couldn't be sure, it may be a similar wood such as mahogany etc. prices starting from £60.00. this is just an. the maximum pallet sizes are 1200mm x 1000mm with a max height of 2000mm. Complete with key. Anything considered to be more than general wear and tear will be specifically stated. - We are always able to help load your item/s. 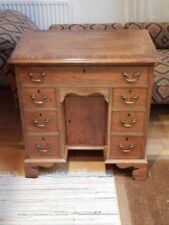 antique Vintage Bureau / Writing desk solid oak laptop cabinet good vintage condition, a few watermarks on the top, please see photo, Sorting mums house! 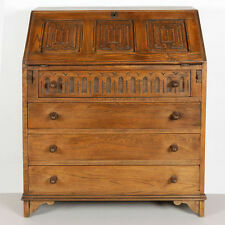 Antique writing Bureaux, this is a beautiful piece. Surface wear, scuffs, scratches and marks throughout due to age and use. Support the British Heart Foundation's life saving research. As the UK's number one heart charity, the cutting edge research we fund has already made a big difference to people's lives. We are not sure how old it actually is, but it does have a lot of character. Bottom size is W 806 x H 1045 x D 375 mm (at widest points). Great looking and stylish mid century bureau. Teak and teak veneer. Smooth running drawer and cabinet below with internal shelf. Get Free Quotes. 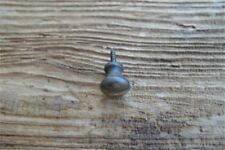 Original key with working lock. Three drawers on the bottom. In perfect condition, this beautiful chest of drawers was my late mothers. 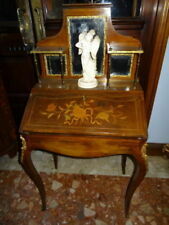 Antique miniature tabletop wooden bureau. The bureau has two long drawers, a drop down slope and four internal drawers. Condition: the bureau needs sympathetic renovation, one of the internal drawers is broken and needs to be reconstructed, there are stains and marks and it would benefit from a good polish. Measurements: please see the photos. Please check the photos as they are part of the description. Thank you for looking. We aim to dispatch all items within 2 working days of cleared received payments. Please leave feedback if you are satisfied with the item. We will be listing more items over the coming days and weeks, please feel free to browse. We do not accept “Buy it now” offers. Further storage is provided alongside, with a shelf over the whole. Note the detail of the v-shaped panel - another design touch typical of Bornholm. Vertical crack in right hand side caused by wood drying out - barley visible. It will require a suitably sized large estate type car or van and at least 2 people to move the bureau, although we can help out at our end of course. We would prefer cash on collection if at all possible. Walnut veneer bureau number 3. Short cabriole legs, brown leather inlay. Automatic arms, French bronze drop handles. Key. 100cm high x 74cm wide x 75cm wide. Few scuffs. Collection only. Support the British Heart Foundation's life saving research. As the UK's number one heart charity, the cutting edge research we fund has already made a big difference to people's lives. Every penny you spend or donate takes us closer to beating heart disease for good. Vintage Remploy teak bureau desk 1960s 1970s. Please see photos for conditions. Used and old. Dimensions H 106 D 41 W 92 cm. Pick up LS8 Leeds please. Pet and smoke free home. Thank you. Interior has inset faux leather writing section and fitted back section with 5 drawers having small brass handles and recess/shelf over. Collection from Bow, nr Crediton or Inwardleigh, nr Okehampton, Devon. 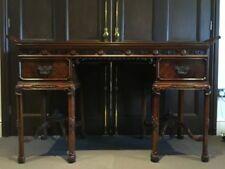 Antique Writing Desk Bureau. Very solid. Fold down writing desk with stationery compartments in back. 2 shelf cupboard below with 3 curved shelves either side. H107xW92xD31cm Collection only due to size. It appears to be made from teak and has the Fresco style handles that you see on the G-Plan furniture of that era. nothing too drastic though and will tidy up nice. there is no key but it is currently unlocked so fine to use. It was owned by my partners Grandmother mother who we understood inherited it from her parents. This lovely piece of furniture was in her Grans pub in Cornwall for a number of years, then in her parents house for many more. It has a very handy secret drawer that is hidden behind the top panel above the drawers. you push the left side and it spins the panel to reveal the drawer. we do not have the key for it but it is unlocked so can be still used. LOVELY Antique Snedkergardens Serpentine Bureau complete with two original ornate keys. This piece is absolutely stunning and would benefit from a light clean to enhance its natural beauty. The keys and locks all work perfectly. I have taken photos of any wear and tear but there is nothing major. A stunning, unusual piece of furniture. Dimensions: 98cm wide, 45cm deep, 100cm tall. Collection from Tutbury near Burton on Trent or I can get a quotation for shipping from the courier we regularly use for furniture. Depth open 550mm. Depth closed 270mm. Width 760mm. This chair as you can see from the style is from circa 1800s. the first picture shows you how it looked originally 'I had to remove all the material as it was literally crumbling.